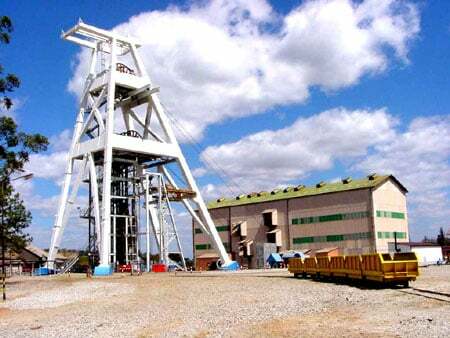 THREE miners, including a Chinese national, have died in an underground mine explosion in Chambishi. The explosion happened at the South East Ore Body (SEOB) project at 680 metre level where the miners were sinking a ventilation shaft. They were employees of Tongguan Mine Construction, a company engaged by Chambishi Non-Ferrous Africa Mining (NFCA) to work at the SEOB project. Copperbelt commissioner of police Joyce Kasosa and Kalulushi district commissioner Kenny Siamasumo confirmed the incident which happened yesterday between 06:00 hours and 07:00 hours. The deceased have been identified as Juma Chibuye, 38, of Zambia Compound in Chambishi, Joseph Mumba, 53, also of the same township, and Chen Weibin, who lived at Chinese house in Mukulumpe. Ms Kasosa said Mr Chibuye and Mr Mumba were setting the explosives for blasting, while Mr Weibin was drilling the ground when the explosion happened. “Yes, I can confirm that we had an accident in Chambishi where three miners died in an underground mine accident. One is a Chinese national and two are Zambians who resided in Chambishi,” he said. Mr Siamasumo said the accident happened at South East Ore Body, a new mine that Chambishi Non-Ferrous Africa Mining is developing. Sinozam Hospital human resource manager Justin Njovu confirmed having received the bodies of the three miners. And Mineworkers Union of Zambia (MUZ) general secretary Joseph Chewe said the union has sent a representative from its safety department to ascertain the cause of the accident. “The challenge that we have is that the miners are not our members, but we have sent a representative from the union to establish the cause of the accident,” Mr Chewe said. NFCA is developing the US$832 million South East Ore Body which will create 5,000 jobs for the local people. The project will be commissioned in 2017. And chief Government Spokesperson Chishimba Kambwili is saddened by the demise of the three and has sent condolences to the bereaved families. Mr Kambwili also said Government will thoroughly investigate the cause of the mine accident. He also urged mining houses to step up their safety measures to avert similar accidents. “What has happened in Chambishi is really unfortunate. We would like to urge our mining houses to put safety first in their operations,” Mr Kambwili said.